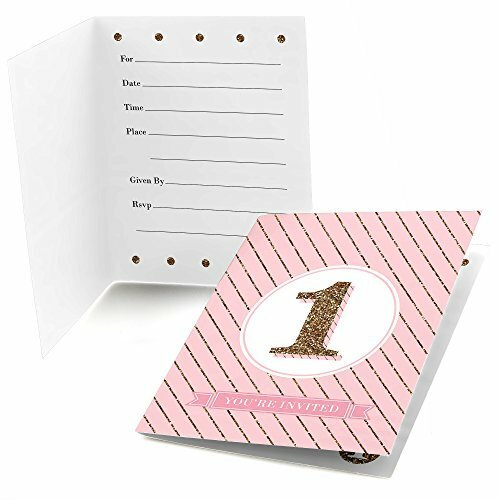 24 high quality 1st birthday girl fun to be one fill in birthday invitations. Each folded invitation features our unique artwork, and includes space inside for basic party details. 24 white envelopes are included.